What's the Difference Between the DC58 Multi-floor and DC58 Animal? Are you interested in getting the ultra powerful DC58 handheld vacuum, however are unsure as to which version to get i.e the multi-floor or the animal -- then you have come to the right place. The actual difference between the DC58 Multi-floor and DC58 Animal is only a slight variation in the attachments & a different skin body colour -- the actual cleaning performance & weight remain the same. Just to give a quick overview of the DC58 -- it is pretty much the most powerful handheld vacuum on the market offering "three times the suction of any other handheld vacuum cleaner in use". 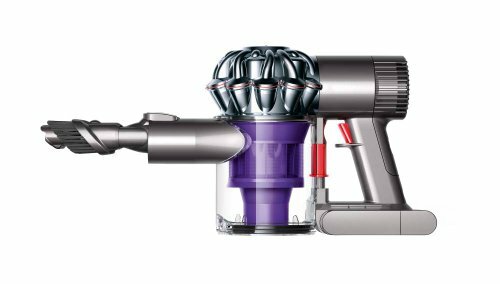 This is achieved by pretty much cramming all of Dyson's recent engineering triumphs into a ultra lightweight (1.3kg) & compact package (dimensions: 20.8 x14.0 x 39.5 cm) such as the re-configured cobalt battery (which offers 50% more power than any the previous batteries fitted in the predecessors e.g. DC34, DC31 etc. ), advanced V6 Digital Slim motor (several generations in advance of that of other Dyson cordless cleaning machines) & two tier radial root cyclone technology (allowing it to create huge centrifugal forces that in turn leads to incredible suction power). Moreover, the battery life has been extended for the DC58 (in comparison to that of the DC34 handheld) to up to 26 minutes & offers 20 minutes consistently on standard mode and 6 minutes constant on boost mode (the DC58 is also integrated with an LED indicator to state the condition of the battery) -- with it taking approximately 4 hours to charge from 'dead' to 'full'. The difference between the two versions, as stated is simply down to the attachments offered -- with the DC58 Multi-Floor you are provided with the combination tool (which basically allows you to clean awkward gaps & power dust). Whereas with the DC58 Animal it also provides you with the combination tool as well as a specially engineered mini motorised turbine tool that effectively picks up pet hair. This and the difference in colour skins between the two (multi-floor: silver & yellow mesh, animal: purple & silver mesh) -- is the only difference between the models. Hence, which model you get simply depends on whether you intend to use your handheld for pick-up of pet hair as well & this is the only reason why the DC58 Animal is slightly more expensive than the multi-floor (as it comes with the extra attachment). 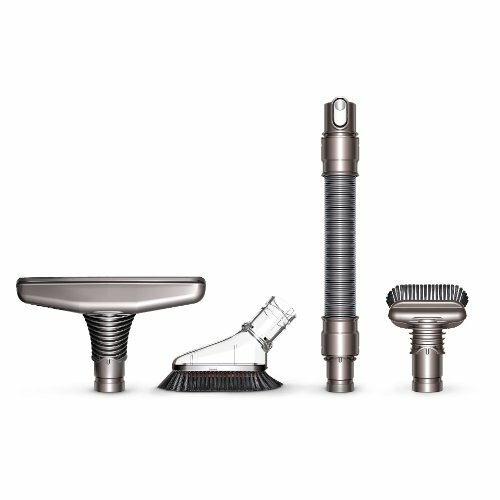 If you want to improve the functionality of your DC58 handheld further, I highly recommend that you take a look at the Dyson Cordless kit -- where you get the following accessories: the stubborn dirt brush (which is basically to remove dug-in dirt and debris from carpets etc. ), the soft dusting brush (to clean delicate surface & areas), the wide nozzle tool (for faster & more effective pick up of debris & dust particles) as well as an extension hose. But which version will you choose and why? Also, if you have any questions, comments or concerns regarding either the comparison guide: DC58 Multi-floor Vs DC58 Animal or about either version individually then please do not hesitate to make them in the comments section just below and we will be sure to respond to you as soon as possible.